We Can Straighten Your Teeth Without Wire or Metal! Have you been dreaming of a straight, attractive smile, but don’t want to go through the hassle of getting wire braces? 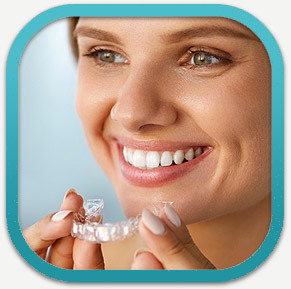 Invisalign in Palo Alto could be the answer for you. 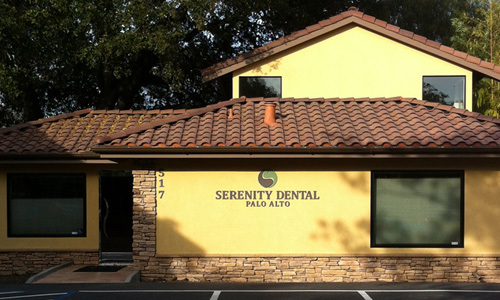 Dr. Heidari here at Serenity Dental Palo can straighten your teeth with the use of clear, removable plastic Invisalign aligners that are virtually undetectable. Nobody will know that you’re wearing braces! To begin your treatment, you’ll meet with Dr. A Heidari to take X-rays and photos of your teeth to compose digital 3D images for him to analyze. Based on these pictures, Dr. Heidari develops a detailed plan for treating your teeth. After we establish the plan that you will follow, we create custom invisible liners made of a smooth BPH-free plastic that perfectly fit your mouth. These braces are designed so that you can avoid gum and cheek irritation often found in wire braces. You wear each set of braces for about two weeks, except for when you eat, drink, floss and brush. With every change of your aligners, your teeth will move ever so slightly. This process repeats for anywhere between nine to 15 months and 18 to 30 liners, depending on your needs. There are no metal or wires! The trays are removable, which makes it much easier to brush and floss your teeth and receive regular dental care throughout treatment. You can remove the trays for picture-taking and social events. You can eat any kind of food you want, since the trays can be removed before meals. The trays are clear, making them almost invisible while they’re being worn. The smooth plastic design means there are no sharp edges or wires to snag your lip or cut into your gums. They don’t require extensive and often painful band-fitting or wire-tightening. Each tray is customized to your mouth shape, so you’ll be able to can see results much more quickly.